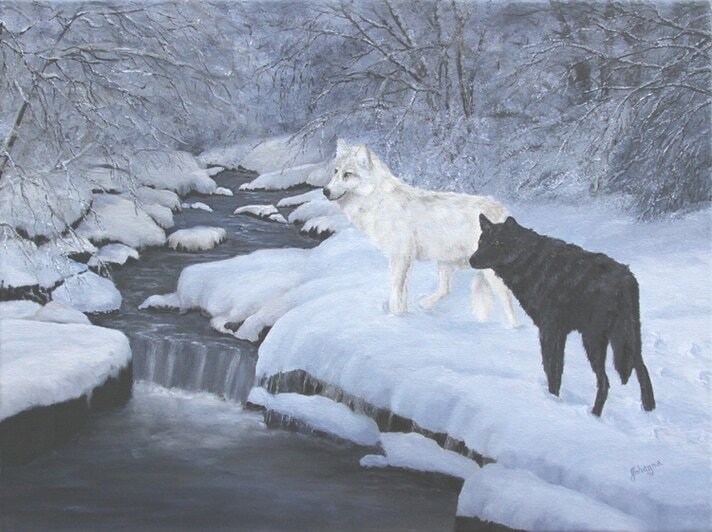 A commissioned oil painting of a pair of black and white wolves in a winter scene. Decided to give the appearance of fresh fallen snow near a stream. Something has caught the wolves attention as they stand so still.